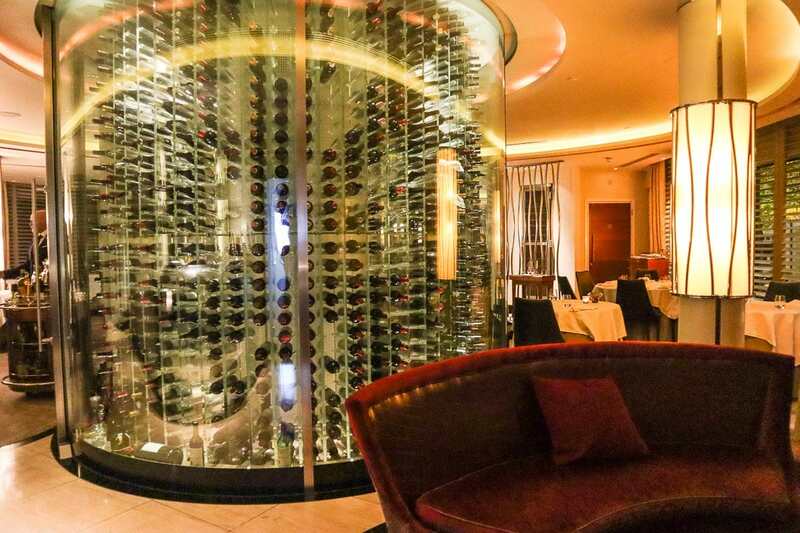 Time for a very special dinner at one of the best restaurants in London – Gordon Ramsay’s Petrus. 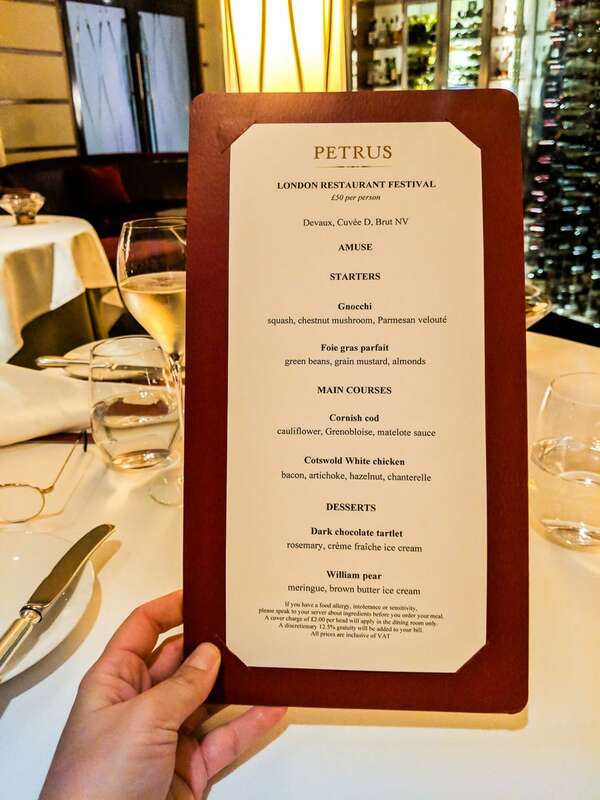 My visit to Petrus was part of a special menu offered by Bookatable as part of the London Restaurant Festival 2018. Over the course of the evening we’d be treated to a starter, main and dessert, plus some lovely extras (including a kitchen tour) and a glass of champagne. All of that for £50, which considering a three-course dinner usually comes in at £85, is a serious bargain. 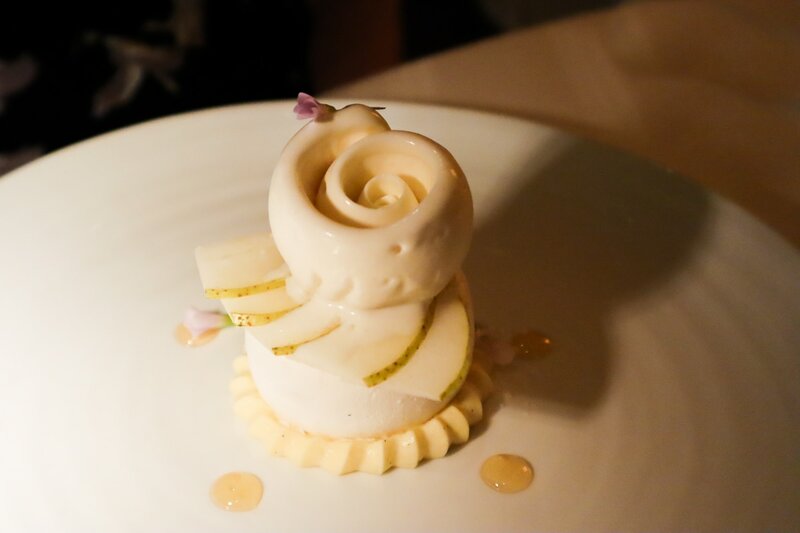 This Gordon Ramsay Knightsbridge restaurant has held a prestigious Michelin star since 2011. I’ve been lucky enough to dine at several fine-dining restaurants over the past few years, and there’s one element that they all have in common… the service! 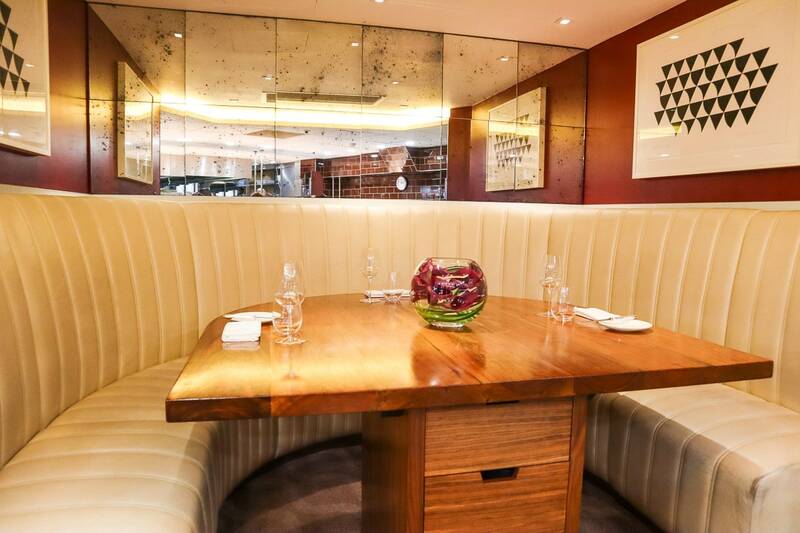 After a friendly welcome at Petrus, my coat was taken away and I was shown to our table. My date for the evening? My mum – a woman who is even more serious about fine dining than I am! We took our seats and had a brief chat with the charming Portuguese maître d’ and the Austrian sommelier. It was certainly an international line up! Instantly, the evening felt more fun, and the humorous yet professional service continued throughout the night. The tables at Petrus are arranged around the outside of the room, with an impressive centrepiece – a cylindrical glass wine cellar. The furnishings in the restaurant are quite traditional, but this certainly adds a touch of modernity to the room. And then the real entertainment began. I mentioned there were a few extras included and that began with a sumptuous cheesy beignet accompanied by a garlic aioli, and bite size pumpkin cannelloni. 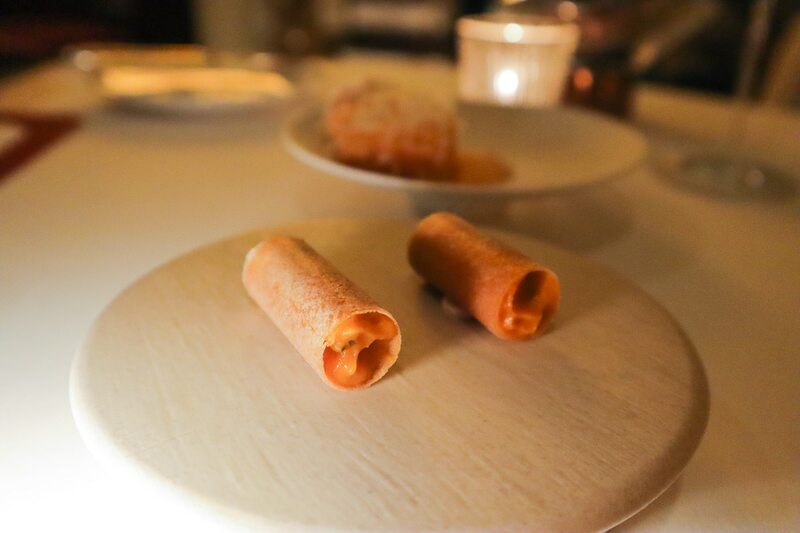 The spiced pumpkin mix was tucked inside a light pastry cannelloni cylinder. The canapes were a great start! Shortly after, a tray of bread and salted butter arrived, accompanied by the next ‘extra’. The little glass was filled with smoked yoghurt with carrot and coriander. It was absolutely delicious; moussey and aerated, with a tang of coriander and a fragrant, smoky aftertaste. I chose the gnocchi as my starter, which was truly indulgent. 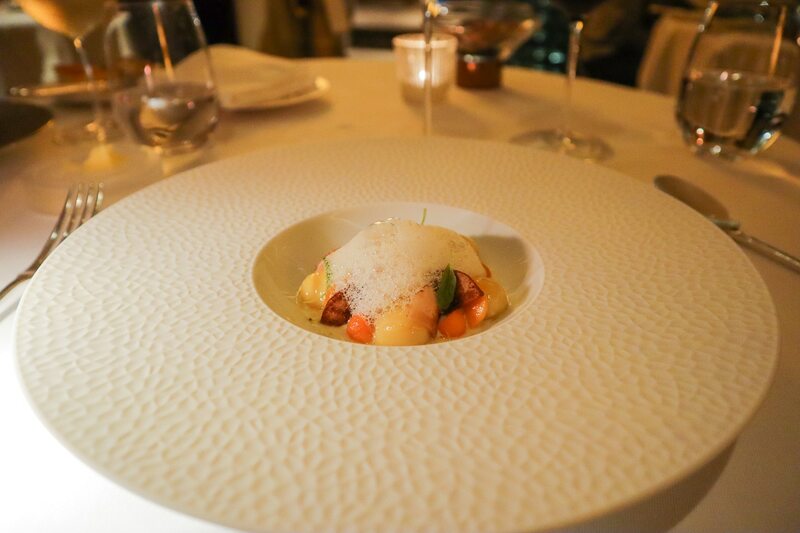 I’ve never been a huge fan of gnocchi in the past, but these melted in the mouth, with the froth of the parmesan veloute leaving a salty flavour on the tongue. 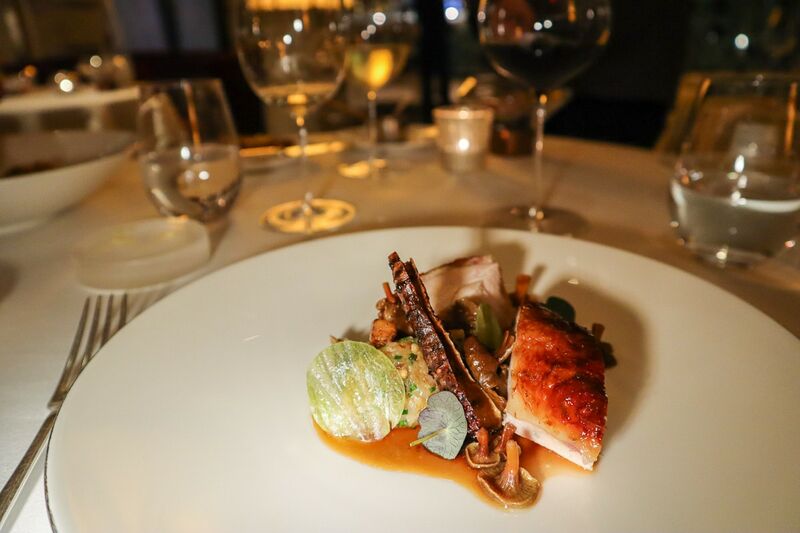 For my main course I chose the Cotswold white chicken, which came with bacon, artichoke, hazelnut and chanterelle mushrooms. In general I’ve noticed that the smarter the restaurant, the less detail there is on the menu! This one simply listed ingredients, which is nice in a way, as you have no idea what the dish will be like. The chicken was the highlight of the meal for me. It came with a rich chicken jus that was dark and sticky, with a hint of star anise. The surprise was the dehydrated Jerusalem artichoke, which on first glance I thought was a crispy chicken skin! It was crunchy and slightly bitter, helping to balance the dish. 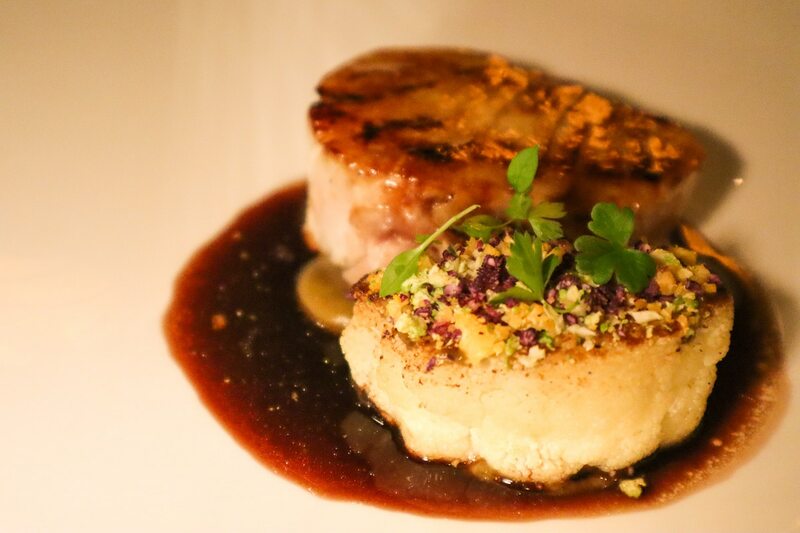 The hazelnut and bacon was mixed with a chicken mousse – a delicious combination of flavours. My mum went for the foie gras parfait followed by the Cornish cod. She really enjoyed both courses. I tried a tiny piece of the cod and thought it was beautifully cooked (moist, soft and flaking away). Before dessert arrived, there was yet another surprise – an innovative grape-themed palette cleanser! Sliced Muscat grapes were combined with a merlot grape granita and then topped with a chardonnay grape foam. It was really zingy, and definitely worked as an interesting refresher before the desserts arrived. 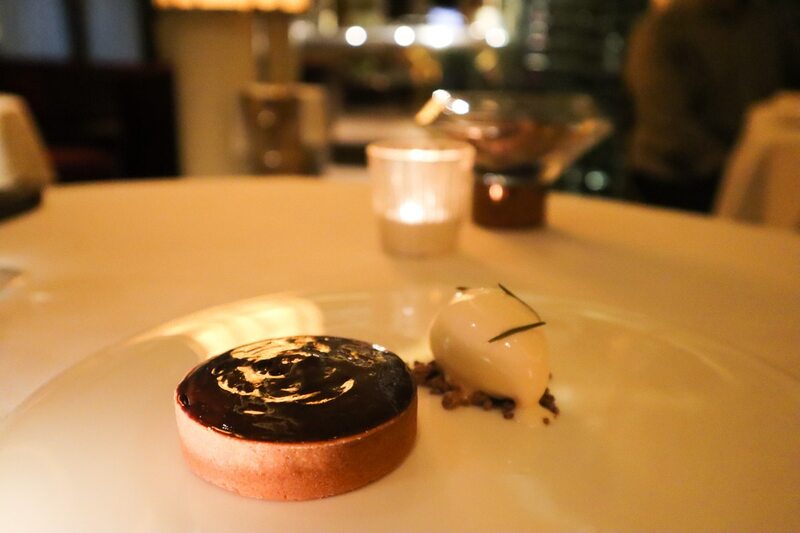 I couldn’t resist the dark chocolate tartlet. It sounded divine, and it tasted even better! There was a hint of rosemary running through the dark, rich, oozy filling. Accompanying it was a crème fraiche ice cream, with a few nuggets of chocolate soil. It was an indulgent finale… or was it? Nope, because there was more entertainment ahead! 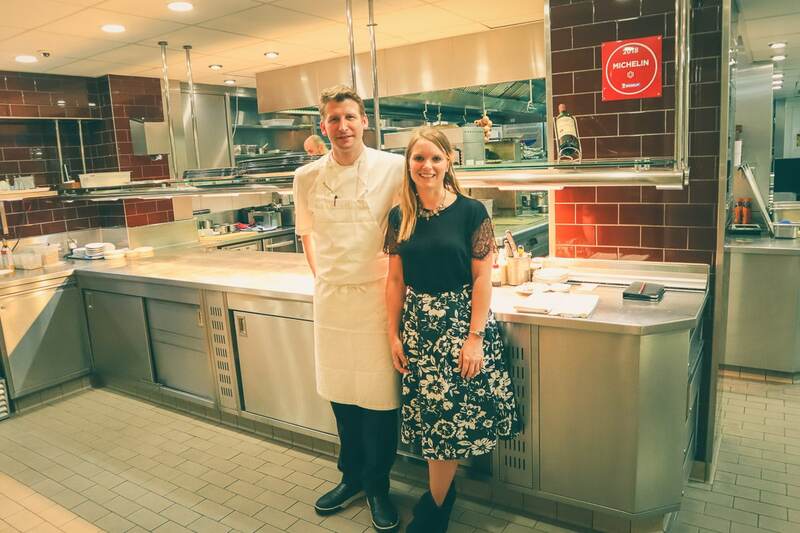 We were collected for a tour of the kitchen, which gave us a chance to see the chefs in action, learn more about the cooking techniques used in our meal, and hear about their experiences working at Petrus. Our final bill came to just over £130: 2 x menus @ £50 per head plus 3 individual glasses of wine and service. It’s also worth noting that the courses were filling, so don’t worry, this isn’t a Michelin dining experience where you leave feeling hungry! I thought it was excellent value, and perfect for a special occasion. 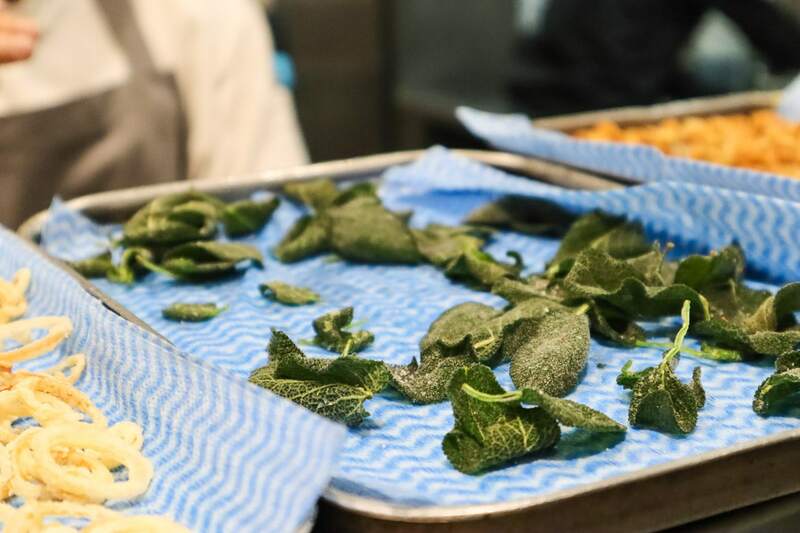 The London Restaurant Festival 2018 runs from 1st – 31st October. 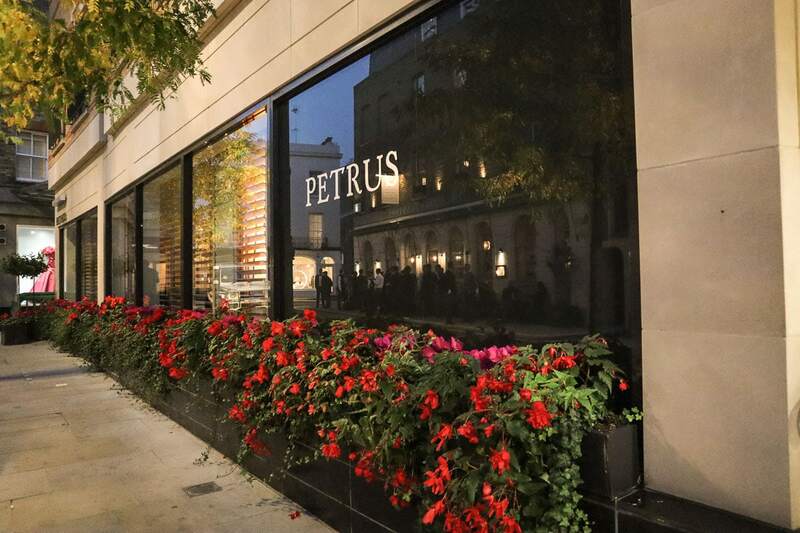 Find out more about the offer I booked at Petrus via Bookatable here. If you can’t find time to visit this month, there are often great deals on top London restaurants on Bookatable, so keep an eye out! 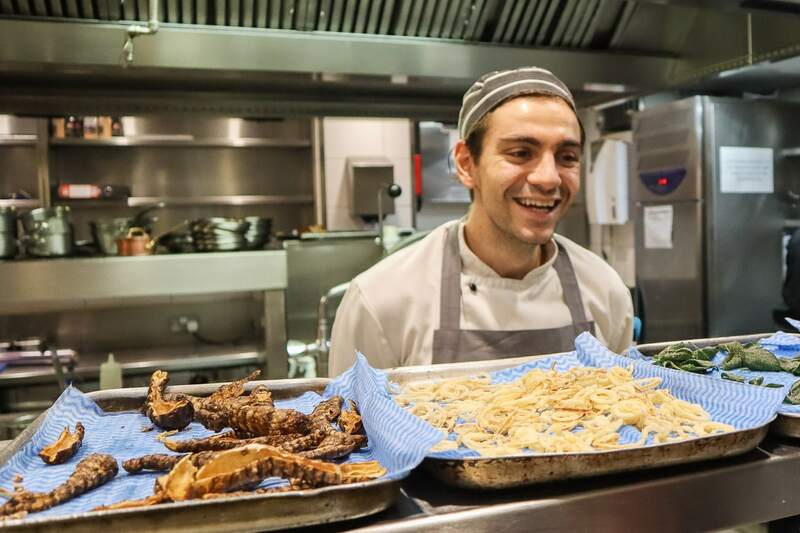 Big thanks to Bookatable for inviting me to visit Petrus. As always, all opinions are my own.